In the run up to Purple Day, I had dreams of making a purple cake that would make Mary Berry proud. Unfortunately, my oven had other ideas and baked the cake to a crisp! 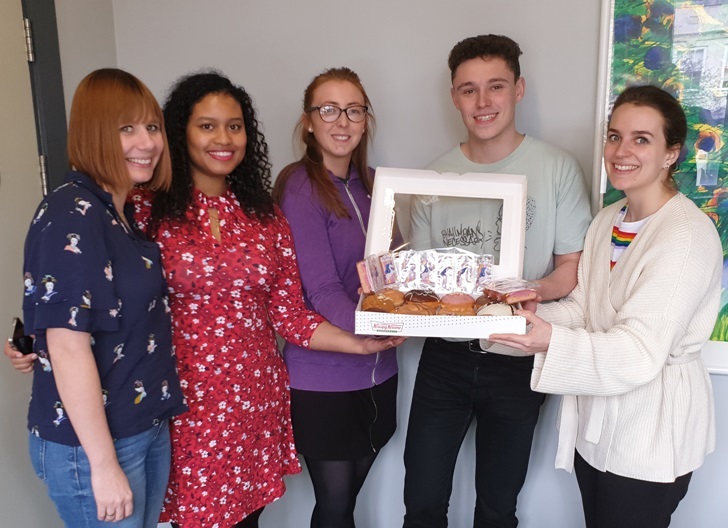 Undeterred, the Child Brain Injury team rallied round and we enjoyed delicious doughnuts and cakes all to raise awareness on behalf of the 112,000 children and young people in the UK with epilepsy. Epilepsy is a common condition that affects the brain and causes frequent seizures. I was surprised to learn that, before Purple Day is over, 87 people would have been diagnosed with epilepsy. Despite this, epilepsy is often called a hidden condition, because it cannot be seen. Sadly, this often leaves those it affects feeling isolated, vulnerable and stigmatised. Having acted for a number of children with epilepsy, the team at Bolt Burdon Kemp have seen the devastating impact that this condition has on the children and their families. Epilepsy is not always well understood and this is why the work of Young Epilepsy is so important. They are committed to supporting young people as they come to terms with their diagnosis and live a full and rewarding life. They are at the forefront of research and provide expert information, training and advice to professionals and families. My baking may not have earned me a Hollywood handshake but the team at Bolt Burdon Kemp were proud to support Young Epilepsy on Purple Day. Colette Payne is a Senior Solicitor at Bolt Burdon Kemp specialising in Child Brain Injury claims. If you would like advice about making a claim on behalf of a brain-injured child, contact her free of charge and in confidence on 020 7288 4819 or at colettepayne@boltburdonkemp.co.uk. Alternatively, you may complete this form and one of the solicitors in the Child Brain Injury team will contact you. You can also find out more about the team here.